At Cosmetic Laser Dermatology in San Diego, our dermatologists are world-renowned experts in the treatment of skin problems and conditions that affect our face as we grow older. Though popular anti-aging products include creams and exfoliants, our doctors know that the best way to achieve youthful looking skin is by using a combination of minimally invasive treatments to help patients overcome an older appearance. Oftentimes, one of the first signs of facial maturing noticed by our patients is the appearance of unwanted lip lines, which can be easily defeated with the help of our San Diego dermatologists. Lip lines are fine vertical lines that can appear above the upper lip and are among the first small lines to show on the face. Lip lines also refer to the long lines that run from your nose to the corners of your mouth which are sometimes called marionette lines. At first, these will only show after facial expressions, but over time, these pesky lines can become evident even when not engaging in any kind of facial movement. The skincare experts at Cosmetic Laser Dermatology use a variety of methods to treat lip lines. Hyaluronic acid fillers (such as Juvéderm), Botox, and fractional resurfacing are three treatments that can help diminish the appearance of lip or smile lines. Often, our dermatologists will combine various treatments together to replace lost volume, erase skin imperfections, and make it difficult for facial muscles to move. Juvéderm is a type of hyaluronic acid filler that can be injected into lip lines and marionette lines to increase volume. This plumps up skin resulting in a smoother, younger-looking complexion. Often times, Juvéderm injections are made at the lip border as opposed to the actual lip lines. Another treatment that can prove effective in the prevention of lip lines is Botox, which temporarily freezes the facial muscles, inhibiting your face from creating deep folds. Because most lip lines are caused by pursing the lips, Botox can prove to be very effective. Though Botox is not a permanent solution, individuals often see excellent results in the appearance of their lip lines for the following several months after an initial treatment. Botox is administered by an expert dermatologist in our office in a quick and easy procedure, making it an ideal upkeep treatment. Laser skin resurfacing can help to diminish the appearance of lip lines by penetrating deep into the skin’s surface to correct imperfections. 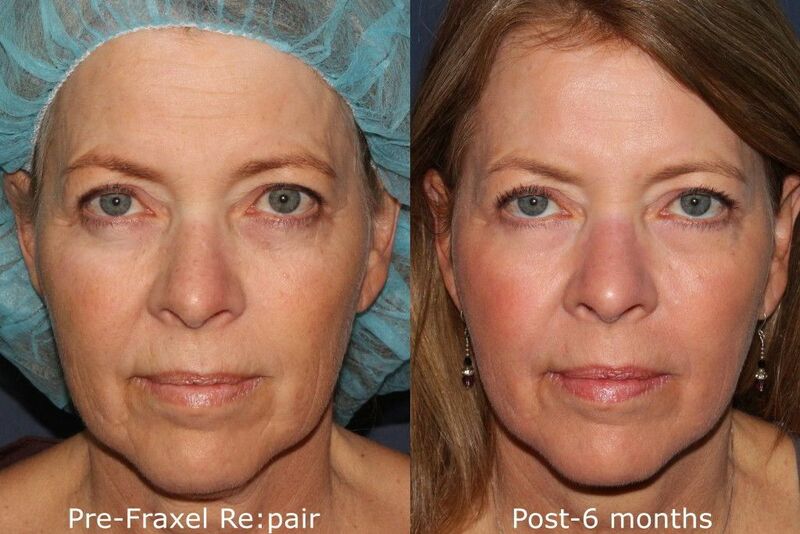 After undergoing laser skin resurfacing, patients often note a much tighter and toned facial appearance, in addition to a more youthful and wrinkle-free face. During your initial consultation with our San Diego dermatologists, we’ll be able to determine how many laser treatments will be right for you and develop a completely unique plan of treatment. Q: What treatments should I avoid when treating lip lines? A: Thicker fillers like Radiesse should not be used when treating lip lines, as this is a delicate area and there would be a risk of lumping. As with all of the treatments on this page, it’s important to receive injections and laser skin resurfacing from a trained and certified professional. When selecting a dermatologist, it’s a great idea to ask to see before and after photos of previous patients, as can help you gain a greater insight as to what types of goals are realistic and what can actually be accomplished.